FitnessOnDemand today announced its partnership with all-in-one fitness software platform Virtuagym, making hundreds of premium fitness workouts instantly available to Virtuagym members, by integrating with their existing mobile apps. Virtuagym provides its members with an online club ecosystem and turn-key mobile app that can be customized and managed by the facility for a unique branded experience. Existing integrations include health club solutions for member engagement, exercise and nutrition guidance, scheduling, management, and more. 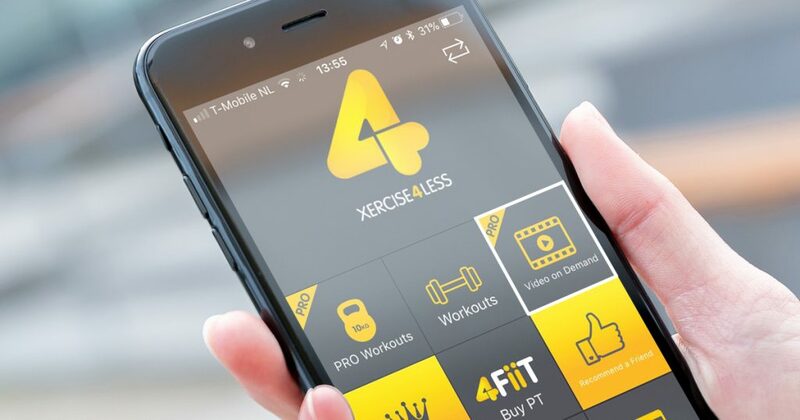 The partnership with FitnessOnDemand will now give health club owners the ability to offer their members the industry’s widest variety of digital fitness workouts wherever they are–further enhancing Virtuagym’s tools to extend programming options and member engagement beyond the facility. FitnessOnDemand is a Minnesota-based market-leading developer of fitness delivery products for media and programming. Since 2011, FitnessOnDemand has allowed facilities around the world to deliver premium fitness programming to their users. Through innovative video delivery systems, they offer robust content and flexible audiovisual integration, along with a comprehensive web management tool that enables any facility to instantly offer fitness solutions that optimize space, streamline operations, and offer unparalleled variety. Learn more at FitnessOnDemand online, and on Instagram, Twitter and Facebook. Virtuagym is the leading software solution for coaching & member engagement. With best-in-class mobile apps and web platform, Virtuagym offers health clubs all the needed tools to boost retention and revenue. Other solutions include exercise and nutrition coaching, client engagement, scheduling, access control, management, payment processing, and more. Virtuagym’s branded mobile apps and online community are a perfect way to promote a health club’s brand and boost client engagement. Flexible membership options and hardware integrations offer ample opportunity for rapid and sustained revenue growth. Virtuagym supports over 11 million consumers, 4,500+ health clubs and more than 25,000 personal trainers worldwide. Learn more at Virtuagym online, and on Instagram, LinkedIn and Facebook. To learn more about Virtuagym and FitnessOnDemand at your facility, complete the form below and we will be in touch shortly.